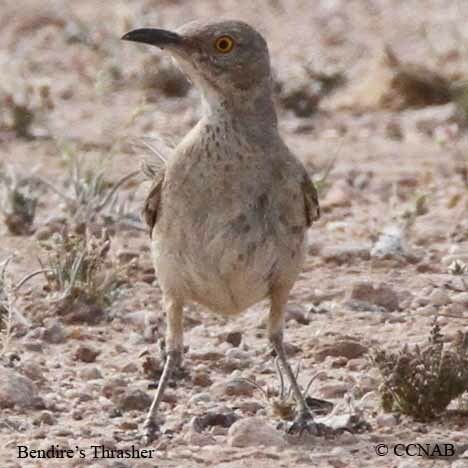 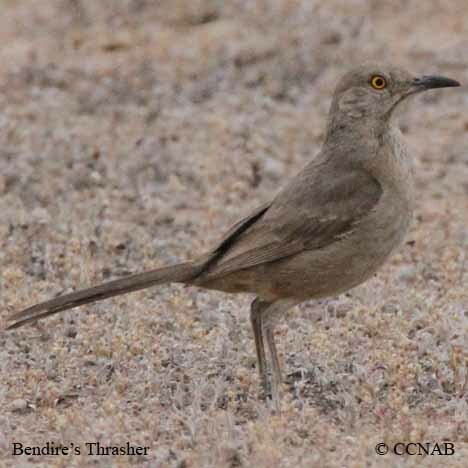 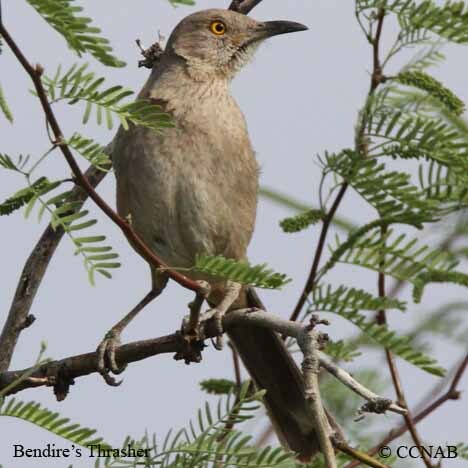 Distribution: The Bendire's Thrasher is found in the southwestern regions of the US and into northwestern Mexico. 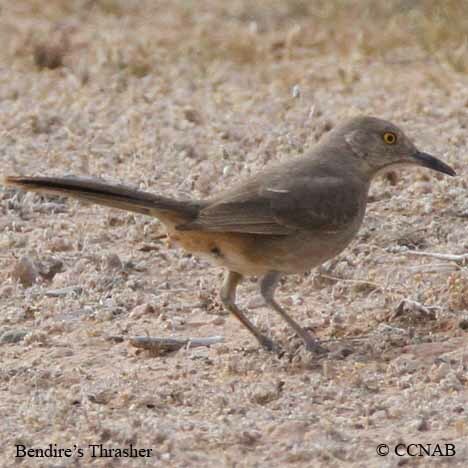 This soft tan coloured semi-desert bird makes its habitat in a dry arid landscape. 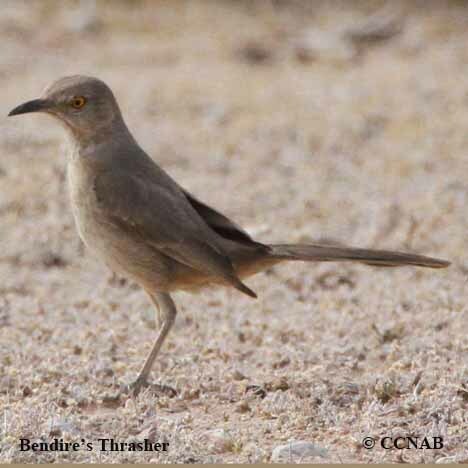 It can be found living among sparse vegetation, including scrub bushes. 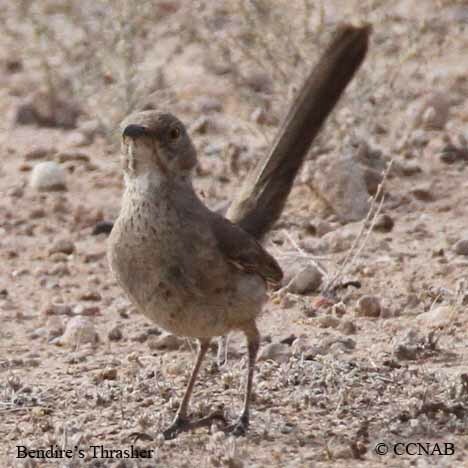 It is known for it having its tail perked straight up, such as what ones sees in a wrens behavoir.